A recent survey into quality of life around the world by Numbeo has ranked Switzerland as the number one country. It is no surprise that Switzerland has been placed at the top. The country is well known for having a very high standard of living and is often tops quality of life and liveability surveys. The country’s residents have a good work life balance with time for relaxation and exercise. The abundance of mountain walking and skiing opportunities mean that most people have a lot of opportunity to enjoy the stunning outdoor scenery and take regular exercise. Good transport links mean that local residents and expats can easily access leisure areas away from the main cities. There are other benefits to living in Switzerland. Employment levels are high and there is a good quality education system. In addition, Swiss law requires employers to provide at least 4 weeks of paid holiday per year. There are also many cultural opportunities to enjoy including theatre, art and music. Life expectancy is high at 83 (81 for men and 85 for women). The country dominates other global wellbeing surveys. The UN World Happiness Report 2015 placed Switzerland at the top. The OECD Better Life Index states that the country performs well for many measures of societal wellbeing. HSBC’s Expat Explorer Survey rated the country highly for expat life. 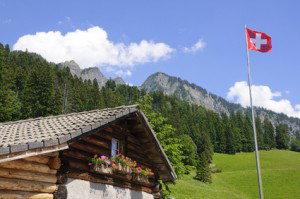 In the 2014 survey, 77% of expats in Switzerland stated that they believe the country to have a pleasant climate. The other countries in the top ten of the Numbeo index include Denmark in 2nd place, Germany in 3rd place, Finland in 4th place, Sweden in 5th place, Saudi Arabia in 6th place, Oman in 7th place, Australia in 8th place, Norway in 9th place and the USA in 10th place. The Numbeo index is based on online surveys from participants across the world. Safety is ranked highly by Numbeo who feel that this is a very important part of quality of life. Switzerland is ranked as having a high safety index, a high healthcare index and a low pollution index. The UK is ranked at number 16 in the Numbeo survey. Safety index is ranked as moderate, health care as high and pollution as low. Countries noted for having the lowest quality of life include Cuba, Venezuela, Ghana, Mongolia, Myanmar, Vietnam, Uganda, Cambodia, Kenya and Peru.